Now that all of the activities for the Fourth of July celebration have ended, it is time to get out in the village and enjoy summer. 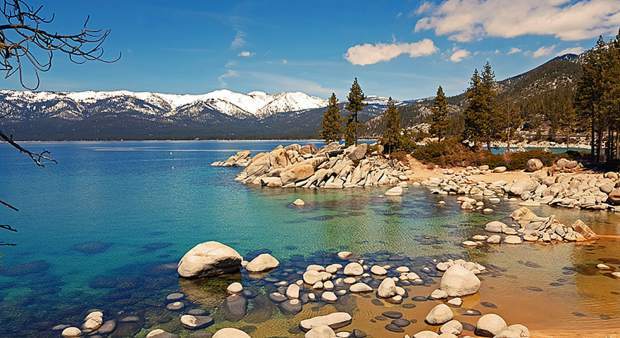 If you want to have a special weekend be sure to attend the opening of the Lake Tahoe Shakespeare Festival at Sand Harbor State Park. This is definitely a ritual of summer at the lake. From 11 a.m to 4 p.m. on Saturday, July 12, tour homes, gardens and art collections in Incline and take a tour of The Holman Arts & Media Center at Sierra Nevada College during the AAUW self-guided tour, Tahoe Treasures. Tickets can be purchased at the Potlatch; proceeds from this fundraiser support AAUW’s scholarship program for local women. Contact Debbie at nicholas89451@gmail.com if you want more information. Be sure you have tickets now to attend the Shabby Chic Art and Wine Auction on July 23 at Aspen Grove. 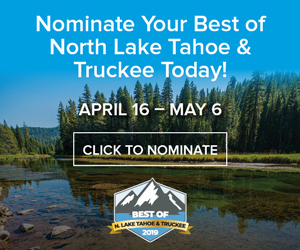 Enjoy music, food, art, wine and furniture and support Tahoe Family Solutions. To purchase tickets go to the Potlatch, TFS Thrift Store or TFS Office in the DWR Center. Or, call 775-298-0004. Attend Melissa Arnot‘s presentation, “Himalayan High: Dancing with the Mountains” on Wednesday, Aug. 6, at The Chateau. Myths and Mountains is the sponsor. To purchase a ticket contact Kendra@mythsandmountains.com or call 775-832-5454. Our local Incline Village Relay for Life needs teams, participants and survivors for this event on Friday, Aug. 8, and Saturday, Aug. 9, at Preston Field. To learn more, go to http://www.Relayfor Life.org/InclineVillage or contact Aimee Giller at aimee.giller@cancer.org or 775-828-2210. The Parasol Tahoe Community Foundation is now selling tickets to its 2014 Community Table. 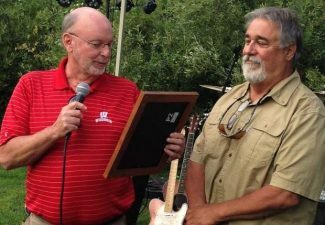 The annual food and wine event is Friday, Sept. 5, at the Shakespeare Ranch in Glenbrook. Purchase tickets at http://www.parasol.org/community or call Jean Eick at 775-298-0184 for information. A big shout out to Susan Herron, the newest member of the North Lake Tahoe Fire Protection District Board of Directors. She was already lending a hand during the annual Pancake Breakfast. A couple of birthdays to celebrate this week: Lonny Parsons on July 12, and Megan Weiss on July 14. Happy Birthday! The best deal and steal this week is the Tahoe Chamber Music Society free classical concert on Sunday, July 13, at St. Patrick’s Episcopal Church. As always send in your birthdays, anniversaries, and news, along with the best deals or steals you can find, to jeanmeick@aol.com.